Elizabeth Warren is not going to miss her train, okay? TMZ reports that the senator and Democratic presidential candidate “bolted through” Penn Station in New York City on Monday afternoon while trying to catch a train. 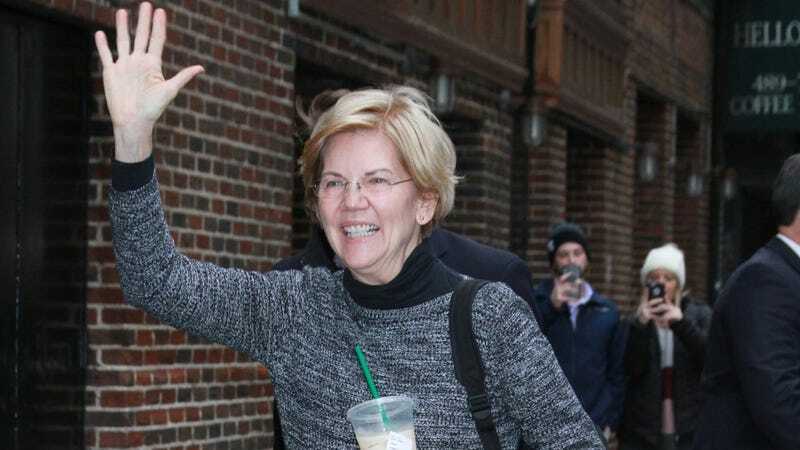 Warren just kept running, even as paparazzi Adam Glyn tried to ask her a question about the Mueller report. When Glyn finally caught up with her, Warren talked about how energizing the campaign trail is and said that people are “fired up and ready for change.” On the Mueller report, Warren said that while it should be made public, it’s not the primary concern for most voters. Anyway, Warren is... literally running.